I may be a bit of a germaphobe, but I get a little worried when I think I’m putting my hands where dozens, hundreds, or even thousands of people have put their hands before me. Were they sick? Were their hands clean? Did they just sneeze into their hands before they touched the thing I’m about to touch? One of the worst places to experience this phobia is during air travel. Whether you’re touching the screen on the check-in kiosk, the armrests of the seats at the gate, or even the handles of the airport escalator, you’re going to risk getting sick by touching some of these surfaces. It’s just as bad on airplanes too. According to an article in Smart Travel, the average tray table is exponentially germier than a home toilet seat. Other spots for germs include seat buckles, seatback pockets and aisle seats as people touch them on their way back to their seats. But don’t worry, you can protect yourself from those germs and have a germ-free — well, a germs-fewer — trip. First, you’ll need disinfecting wipes, of course, and it doesn’t matter whether you choose from brand names, generics, or even medical grade. Try to get the hand disinfectant kinds, and not the bathroom/kitchen cleaning products if you want to wipe off your hands as well. Get them in travel packs, or pack a few in a small resealable bag. Next, board the plane with wipes in hand, and be sure to use them correctly. Start by wiping hard, nonporous surfaces, leaving them wet for as long as directed on the package. Don’t rush the wait time by wiping them down. Germs are being destroyed while you wait, so be patient. Upholstered surfaces can’t be disinfected with wipes for two reasons: 1) It doesn’t work, and 2) it will leave the fabric wet. Who wants to deal with those issues on top of everything else? A disposable airplane seat cover will work, however. There are washable ones, too. And there are smaller disposable covers designed for the tray table and headrest if you’d rather go that route. Make sure you take a small bottle of hand sanitizer (small enough to get through the TSA checkpoint). Use it to sanitize your hands when you leave the plane and when you leave the airport. Also, make sure you sanitize your hands before you eat any food. Finally, be sure to avoid touching your eyes, nose, or mouth while you’re traveling — you can get sick by transmitting germs from your hands to a mucosal (moist) surface on your body, like rubbing your eyes, scratching inside your nose, or putting food in your mouth. Finally, seatback pockets have the highest concentration of germs and should be avoided at all costs. Don’t stick your phone, book, or food items in there. Instead, consider purchasing a seat back liner or flight bag that hangs from the seatback tray toggle. Are you worried about germs when you travel? Do you wipe down surfaces or use hand sanitizer, or do you just hope for the best? Share your tips on our Facebook page, or on our Twitter stream. It doesn’t happen very often. In fact, it rarely happens at all — not enough to make us stop traveling. Still, you hear the occasional story about hidden cameras being found in a hotel room, vacation rental, office space, or Airbnb rental. So while you don’t have to panic that you’re being spied upon wherever you go, it doesn’t hurt to be a little vigilant when you stay somewhere new. Smarter Travel lists three methods for checking for hidden cameras, as suggested by “The Monk,” a technical surveillance countermeasures and intelligence expert from Advanced Operational Concepts who goes by the anonymous moniker. Here’s his advice. There are essentially three primary methods for checking for a hidden camera. Most of the equipment costs less than $100 and are available in the commercial market. But The Monk warns that none of them are 100% accurate. Each have pros and cons, too. For example, RF scanning only helps in identifying a device if that device is actively transmitting. If it stores data on a card and is recovered later, the RF scanner is fairly useless. Lens detection is very effective, if used properly. If you are too far from the lens, sweep the room too quickly, or are just standing at the wrong angle from the lens, then you’ll likely miss seeing the lens when it reflects the light from your own light source. A mix of the three is best. “You may not be able to achieve 100 percent confidence that the space is clear of hidden devices, but you’ll be a lot closer than you were when you first walked into the room,” said The Monk. Before you start searching, it’s a good idea to familiarize yourself with what you’re looking for. So, where should you look? Thinking logically, what would someone be interested in capturing? Since a camera needs a clear view of the subject to get the sharpest image, a visual scan of the area will provide answers. Bathrooms, bedrooms, and offices are common targets. Areas where computer screens are visible for capturing passwords, banking information and other information. Most hidden cameras now are so small and prepackaged in common items that they don’t seem obvious. (Think cameras in stuffed animals used to watch activity in a child’s room). Other hiding places include smoke detectors, alarm clocks, even electrical outlets and power strips. However, The Monk cautions travelers to avoid descending into full paranoia. First of all, hiding hidden cameras in hotel rooms or vacation rentals is illegal. It’s also a violation of most rental companies’ policies, so be sure to check the vacation listing and policy if you find one. If you do find a hidden camera in your vacation rental, leave immediately and report it to the company. If you’re staying in a hotel and find one, request an immediate room change. If that’s not possible, turn the objects you suspect toward the wall or cover them with a towel. While protecting your privacy is smart, there is a caveat. Certain countries, like Russia and China frown upon such behavior. 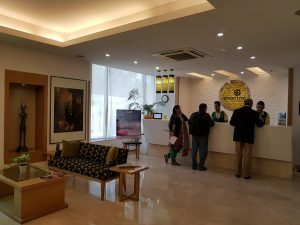 In places such as these, it is highly likely that hotels frequented by business travelers are monitored and tampering with such devices can be seen as problematic. If they know you’re looking for hidden devices, that not only makes them more suspicious, they may want to question you further, and could detain you for hours or days. While we’re on the subject of security, certain models of our Platinum® Elite and Crew™ bags have RFID protected pockets that will store your passport and block it from rogue RFID scanners as a way to protect against loss and identity theft. 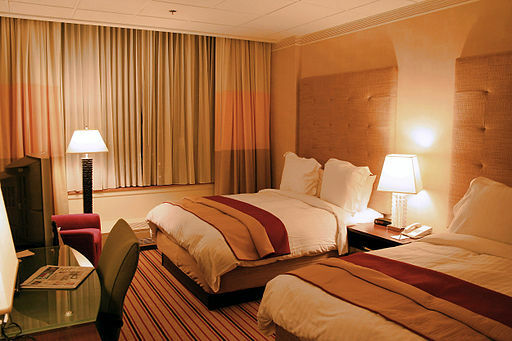 How concerned are you with hidden cameras in your hotel room or office? Have you ever found one or know someone who has? Share your stories with us on our Facebook page, or on our Twitter stream. Delta Air Lines passengers will soon find boarding their aircraft done in a different way that’s supposed to cut down on confusion, speed up the boarding process, and best of all, stop everyone from crowding around the gate 10 minutes before their section is called. According to a recent USA Today article, the airline now boards passengers by ticket type, and not by its long-standing zone method. Changes went into effect on January 23 on flights and were created to reduce pre-boarding stress for flyers. United Airlines switched to a similar process last fall for the same reason. The new, color-coded process required renaming boarding groups and will increase the number of those groups. First in will be the pre-boarders. Then Delta One suites. First Class will be next. Travelers who pay for upgrades or are upgraded to Delta’s Comfort Plus board next. The Atlanta-based airline said the addition of Comfort Plus boarding was recommended by gate agents to reduce crowding at the gate. A two-month test in Atlanta proved positive, and so they made it the new standard. Travelers with platinum or gold medallion status in Delta’s Sky Miles program will be known as the new Sky Priority boarding group and will follow Comfort Plus passengers on board. Those with seats in the main cabin will board according to their number. Delta’s lowest frequent flier tier, silver and certain credit card holders will board with the Main Cabin 1 group. Last but not least, Delta’s no-frill basic economy fare will board last. Have you tried out the new Delta boarding method or any other airline’s method? What did you think? How do you think this will help reduce congestion and crowding at the gates? Share your thoughts and experiences on our Facebook page, or on our Twitter stream. With so many business travelers adding leisure time to trips, bleisure travel is now a major part of the travel industry. And there are many lucrative possibilities, according to a recent article in Travel Weekly. In fact, according to a 2018 Bleisure Trends Report by Egencia, 68 percent of travelers mix business with pleasure 1 – 3 times a year. Moreover, the report said that 74 percent of business travelers are considering a bleisure trip over the next six months. Bleisure travel can happen anywhere, but it’s especially fun if you’re near Orlando. This is the Geosphere at EPCOT. Getting employers onboard with bleisure travel isn’t always easy though. 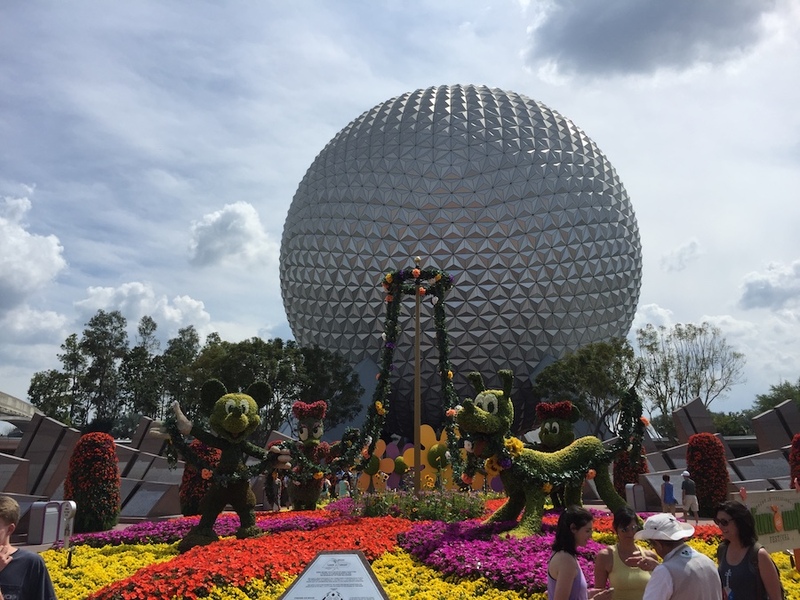 Employers and their travel policies are not always amenable to travelers tacking on a few days of fun, although that perception is changing. Dave Hershberger, president of Prestige Travel Leaders in Cincinnati, Ohio, said that corporate support is growing for the practice. Maurice Honor, Vice President of Travel Distribution Sales for Hertz, said that bleisure travel means people want a better work/life balance, and that balance is a big selling point for companies to support it. So what’s driving the increased desire for bleisure travel among the travelers themselves? Fear of missing out (FOMO) is a big reason, said Leah Kirgis, manager of leisure travel at Cadence in La Jolla, California. People want to experience the culture and unexpected things in locations. But it’s also the personal appeal of the destination. Imagine, if you’re traveling to New Zealand, Hawaii, Europe, or Canada, would you want to just zip in and out long enough for your sales meeting or conference? This could be the only time you get to visit that destination, so doesn’t it make sense to experience a little of the culture and scenery? Bottom line is whether the employee can create memories that will last a lifetime, and whether their company will allow it. If you’re on the fence about whether you should allow bleisure travel in your own company, we highly recommend it. It makes your employees happy and the quality of their work will increase. Do you take bleisure trips on your business travel? Does your company allow bleisure travel as part of its regular travel policies? Share your experiences on our Facebook page, or on our Twitter stream. We are pleased to publish this blog article from Robert & Mary Carey of the RMWorldTravel radio program. Robert and Mary will provide us monthly blog articles covering their different favorite travel destinations. This month, they’re taking a look at Santa Barbara, California. On our national travel radio show, we regularly spotlight some of our favorite destinations around the U.S. — that are less traveled but offer terrific travel experiences. A recent focus was Santa Barbara, California. Santa Barbara is a fun getaway destination that’s less than a 2-hour car ride north of Los Angeles (you can also take the train if preferred), and it’s one of those places that has something for everyone. It’s long been known as the American Riviera for its coastal location and stunning mountain views. Enjoy hiking, water sports and many other outdoor activities, beautiful Pacific beaches, art, culture, restaurants that range from fine dining to those hidden gems or ‘hole in the wall’ spots that offer great food at great value, night-life, and more. You’ll never run out of things to do in Santa Barbara. We’ve visited Santa Barbara multiple times over the years and will be returning again next summer for a wedding — but whether you’re traveling alone or with friends or family, we encourage you to consider a trip to Santa Barbara (with your Travelpro Luggage of course). The world famous Stearns Wharf, which just happens to be California’s oldest working wharf, is a great place to spend the day riding bicycles, strolling, eating handmade ice cream, shopping or soaking in the California sunset in the evening. Kids will love the Santa Barbara Museum of Natural History Sea Center, which has some really cool interactive exhibits explaining the sea creatures that live below the Wharf, and if you’re an angler, fishing is free on the Wharf! Just stop by one of the local bait and tackle shops and they’ll get you all set up. We love to ride bikes when we travel there as the topography makes it an excellent cycling city. Personally, we’re fans of the Surrey bikes because to us they are quintessential Santa Barbara. Four wheels, 3-4 passengers and loads of fun tooling around. Sometimes you just have to be a tourist and relax and enjoy. Although, rumor has it even the locals enjoy the Surreys! A bit of a secret that many visitors don’t know about is the growing wine region in Santa Barbara. Napa and Sonoma have certainly made their mark in the wine world but Santa Barbara has some terrific vineyards that are reminiscent of the way Napa may have looked before it became so popular about 30-40 years ago. The Santa Ynez Valley has many experts claiming it may become the next big wine region nationally so we suggest going to enjoy it now if that’s the case. There are some award-winning wineries in this area and another must-see is Rancho Olivos for superb olive oil tastings and tours. Cultural activities like art shows, theatre, music festivals, craft shows, and wine and craft brewery events run year-round in Santa Barbara, and you can expect a Mediterranean-like climate with comfortable seasonal temperatures year round. If you are lucky enough to plan your trip in the month of March, try to time it around the largest Orchid Show in the U.S. The 74th Annual Santa Barbara Orchid Show runs March 17-19, 2019 and is one of the top orchid shows in the world. Women who frequently travel are often concerned about their personal safety and security, which can sometimes give them pause about where and when they travel. In a recent article for Entrepreneur magazine, contributor Kim Albrecht suggests several ways in which women can keep themselves safe while traveling for business. We found a few we thought you should know right away, but highly recommend you read the entire article for the rest of the tips. Albrecht, the Chief Marketing Officer at SAP Concur, reported that women are making up half the business traveling population and they continue to be on the move. Since women face more travel safety risks than their male counterparts, it should come as no surprise that 83 percent of women polled said they’ve experienced a safety issue or concern in the last year while traveling for work; only 53 percent of women always or sometimes report their experiences. Alarmingly, only 18 percent of corporate travel policies specifically address female safety needs. Albrecht partnered with Kathy Leodler, CEO of security firm Rampart Group, and former FBI special agent, SWAT commander, and corporate security director, and together, they created a safety checklist sure to come in handy for female travelers. Like most activities, Albrecht says, preparation is key. Check your employer’s travel insurance program and learn what is covered. Self-employed? Not a problem. You can also buy private travel insurance. Hard copies and electronic copies of your travel insurance are important: keep both with you while traveling. Share the details of the insurance benefits with a trusted person. Well-known hotels are generally safer and some offer female-only floors. Ask before you book, and if necessary, switch up hotels to get a more secure one or one that offers a female-only floor. You might want to check out Maiden Voyage which offers a list of certified female-friendly hotels worldwide. Book a flight with arrival time during daylight hours. This is especially important for international arrivals. And make sure you only take licensed taxis from the specified taxi loading zones at airports and hotels. If you prefer a ride sharing service, but would like to request a female driver, Uber and Lyft don’t offer that as an option, but there are several ride sharing services in specific cities. The U.S. Department of State has important information for every country in the world including visa requirements, safety and security conditions, health and medical considerations, local laws and areas to avoid. Learn where the closest US embassy or consulate is located at your destination. There is an option to enroll your trip with the State Department in the event of an emergency, so be sure to do so if you’re traveling to a State Department hotspot. Do you like to wander? Apps like TripIt can provide valuable local information such as safety scores for categories like women’s safety, physical harm, health and medical, theft, and more. Modesty is a safe bet when it comes to clothing and wardrobe, said Albrecht. Leave jewelry at home, particularly expensive pieces to avoid standing out. Choose shoes that are comfortable and ones that don’t restrict mobility, should you need to move quickly. Albrecht also suggests packing a decoy wallet with a small amount of cash and expired credit cards. You can wear a hidden money belt with actual cash and cards. So whether you travel to the next city or across the globe, listen to your intuition: if you feel a bad vibe from somewhere or someone, listen to your gut instinct and remove yourself from the situation. And be sure to check out Albrecht’s article for other safety tips when you travel. If you’re a woman and a frequent traveler, what do you do to keep yourself safe on your travels? Share your tips, suggestions, and stories on our Facebook page, or on our Twitter stream. Airplanes won’t be the only things that are going up in Arizona as the Phoenix city council repealed the “street pricing” policy that capped how much airport restaurants could charge. Travelers passing through the Phoenix Sky Harbor International Airport will likely see higher prices on food and beverages very soon, after city council members voted unanimously to repeal a decades-old provision that capped how much vendors can charge. Currently, food and beverage vendors set their pricing at the price charged on the street plus 10 percent. However, since the policy change, HMS Host and SSP, the two companies that operate food services at the airport, have asked to be released from the agreement citing increased labor costs. An increase in the state’s minimum wage and recent union contract negotiations have been listed as culprits for the rising costs. In fact, SSP took the matter a little further and requested the cap to street pricing plus 12 percent. In exchange, it offered to keep the price of kids’ menus the same, and offered a discount of 20 percent to airport employees. 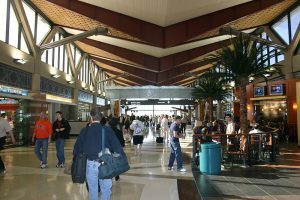 A consultant’s report commissioned by Sky Harbor showed that vendors would still have a positive cash flow without a change in policy. Mayor Thelda Williams said the original policy was implemented when there was only one food-and-beverage management company at the airport. Williams indicated that vendors should set their own prices due to adequate competition. The council unanimously agreed. Street pricing took effect in the 1990s to prevent price gouging, and in 2015, pricing was loosened to street pricing plus ten percent to account for the increased cost of doing business at the airport which included security, higher wages, health benefits for union employees and background checks. 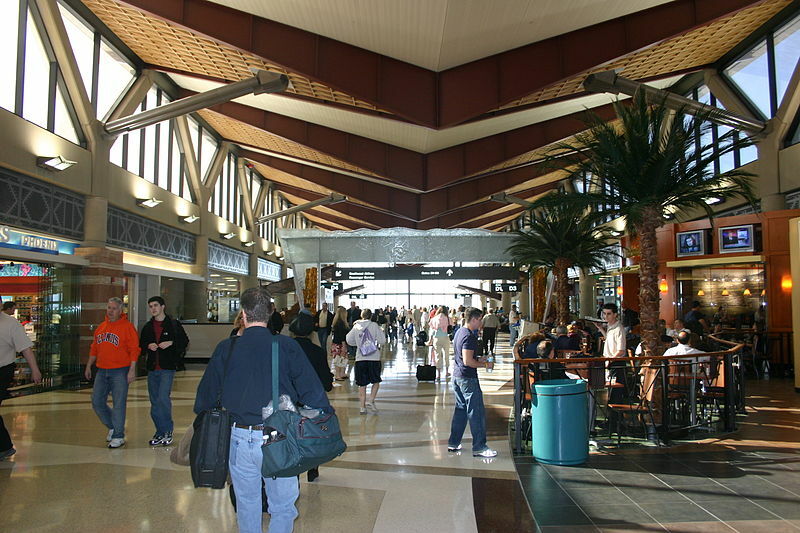 Several other airports employ street pricing plus 10 percent, including Atlanta, Charlotte, Chicago’s O’Hare, Dallas-Fort Worth, Denver, Detroit, Fort Lauderdale, Miami, Minneapolis, San Francisco, and Washington DC’s Dulles Airport. Las Vegas was the only airport contacted by the Sky Harbor consultant that did not have a street-pricing policy. New prices could take effect February 15, so if you’re traveling through Phoenix next year, prepare to pay slightly higher prices. The vendors are required to give new pricing menus to the airport by January 15 and will be allowed to implement the increased prices between February 15 and July 15. The ordinance applies to food and beverage vendors; a separate ordinance concerning retailers would have to be proposed to change prices. What do you think about this new pricing schedule? Do you think other airports will follow suit? And do airport food prices make you think twice about buying food in airports? Share your thoughts with us on our Facebook page, or on our Twitter stream.